First of all, one will need to check out the various brands of gaming mice that are available in the market. After this, one will need to select the gaming mouse option from all purpose gaming mouse or specialized gaming mouse. If one is only looking for gaming purpose, then it is best to choose the specialized gaming mouse. However, if one is looking for using the mouse for other purposes, other than playing game, then one should definitely opt for all purpose gaming mouse as it will be the best option, on the other hand, the all specialized gaming mouse will not be able to give better performance when it comes to other purposes, other than gaming. All purpose mice are one of the common types of mice available in the market. These mice come in various sizes and shapes. If one is looking to play a wide range of game, these mice are the best option as they are versatile and they are able to handle a wide range of actions. 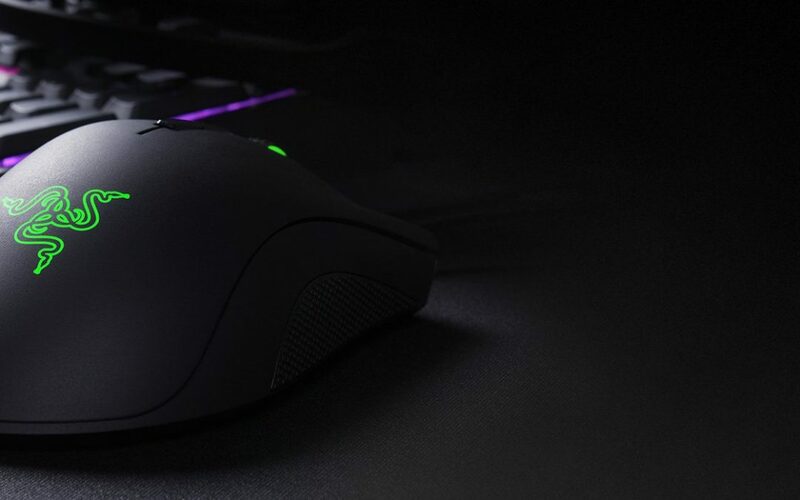 Another type of mice which is available in the market is FPS mice is the best option for gaming mice as they are able to offer the best performance when playing the high performance games such as: call of duty, battlefield, rainbow six, counter strike etc. There is also a good amount of overlap between the all purpose mice and the FPS mice. The FPS mice will have a sniper button, which is distinctive and it is place right beneath the thumb. This will help to slow down the DPI and the gamer will be able to line up the difficult shots. MMO mice are types of gaming mice which one can check out. This mice is the best for games such as world of Warcraft, star wars etc. This type of gaming mouse is bulky in size and it will offer excellent performance when playing these types of games. This mouse is perfect for firing off the difficult skill rotations and this is also with the second precision. Some of these mice will also help to assign the gamer with the alternate button maps and these can be easily accessed with the click of the finger. RTS mice are a type of mice that will also help to provide excellent performance when playing action packed games such as: star crafts. Customizable mice are expensive but they will offer the best experience when it comes to playing games. There are various price tags of these mice that one can purchase from the market without any hassle. There are three types of cost categories that these gaming mice are categorized into. The cheaper categories are less than $50 dollars, although they will be able to offer the gamer to play the game but they will not be able to offer the excellent performance that one is looking for. The mid range mice are categories of $50 – $100 and they will offer good experience when playing the game. The expensive mice will cost more than $100 and they will offer the best experience. The price of the mouse will also vary from one brand to another and from one type of mouse to another. The new models of the gaming mice will also cost more than the regular ones and also the gaming mice which comes with extra features. This is why one should take a look at range of gaming mice according to their needs and requirements. Some mice are heavier than others and if one is looking for a lighter weight mouse, they will need to take a look at the weight of the mice before purchasing them. A light weight gaming mouse is easier to move around and they are easier to handle as well. Gaming mice can come with the option of laser sensor or optical sensor. Both of these work fine but it depends on the need of the player. Connectivity is another factor one will need to consider. One can sync up these with the devices to get better experience when playing the action packed games. You should always make sure to read the customer reviews and then select the gaming mouse, considering these factors to help them to select the best gaming mouse. As mentioned previously in this article, it’s important to correctly configure your mouse for gaming. Settings like mouse acceleration or incorrectly configured windows mouse sensitivity can greatly impact your gaming. We recommend you follow this guide on how to setup your windows mouse sensitivity and dpi settings for your new gaming mouse. You can have the best mouse in the world, but if you don’t spend the time to set it up correctly, it could lose you the competitive advantage!